This Quick and Zesty Lemon Garlic Tilapia recipe is adapted from one by Sam's Club. It takes 10 minutes to prepare and, while it bakes for 8 minutes, the rest of the meal comes together, making the total time spent in the kitchen about half an hour. Tilapia, native to Africa, are now commercially farmed around the world, making them extremely affordable, and the third-most-popular cultivated fish. The low-fat flesh is firm, white, sweet and fine-textured and suitable for baking, broiling, steaming and stove-top grilling, but not so much on outdoor grills. Heat oven to 400 F. In a small bowl, combine lemon pepper seasoning, paprika, salt, garlic, onion, dill or basil, and oil, stirring until paste forms. Drizzle lemon juice over both sides of tilapia. Rub spice paste onto both sides of tilapia. 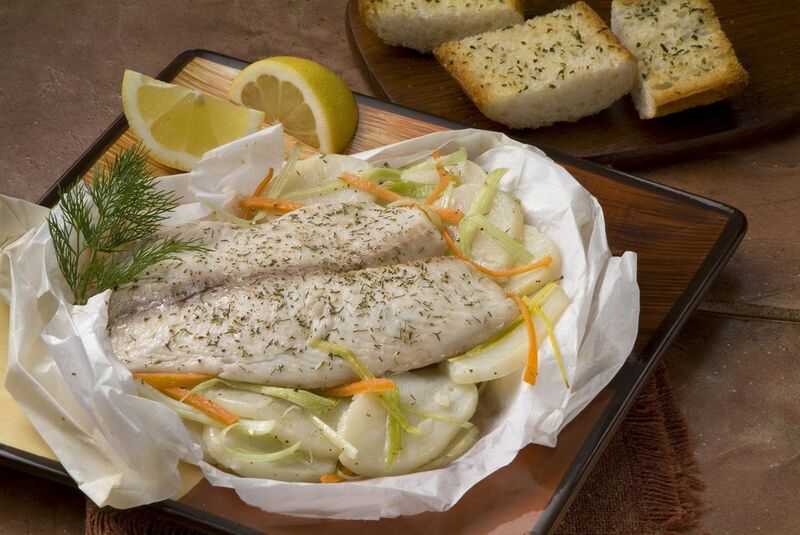 Place tilapia on a parchment-lined cookie sheet and bake 7 to 8 minutes or until cooked through.